Given that I work to maintain my own healthy weight and support others doing so, Channel 4’s series of 4 programmes, “The Secret Lives of Slim People”, caught my eye. It looked at the lifestyle and diet of 8 volunteers who had been reported as staying slim despite reportedly over-eating. 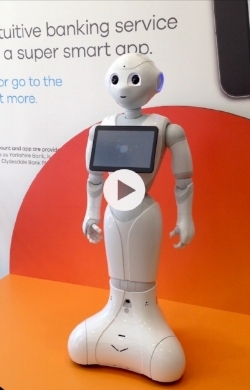 The volunteers were filmed and their lifestyle, habits, calorie count and exercise monitored to see what could be learned. How do these people stay within their Body-Mass-Index so effortlessly? (Note that BMI is a measure of health not appearance.) Sweets, booze and cola, double portions, burgers, carry-outs and scant deliberate exercise seemed to be the order of the day although their lifestyles and diets differed substantially. Surprisingly, junk food eating did not necessarily mean over-eating as sometimes meals were skipped or left on the plate. In the end, despite what seemed, the volunteers’ calorie intake was about right for their day-to-day activity. Only one took-in more calories than she used - the scientists drew our attention to her parents’ slimness pointing out that it is a heritable trait. Not all the volunteers had slim families though. Balance calories taken in with those expended - technology and Apps can help you do this. Move! Use the stairs, walk, fidget, avoid long periods of sitting as brain and muscle-use burns calories. Some of those filmed were on their feet all day. Eat slowly - savour your food and chew it thoroughly…put your cutlery down between bites. Mindless eating may cause over-eating so avoid distractions/eating on the hoof. Sit at a table. Control portions - the volunteers were more deliberate about quantities than expected. Pay attention to your body’s signals of fullness… be prepared to leave food on the plate. Consider chrono-nutrition - ie your body’s natural rhythm. Match your eating to when your body has produced chemicals to break down food. Apparently it’s best to “Eat Breakfast Like a King, Lunch Like a Prince, and Dinner Like a Pauper” so avoid late eating. Develop a good sleep routine of at least 7 hours - only 5 or 6 hours affects the production of key appetite hormones thereby increasing your risk of obesity. A repetitive diet is apparently helpful eg same breakfast and lunch with varied dinner. A Mediterranean diet is much respected for good health and weight-management. Whether deliberate or not, intermittent fasting works - successful methods are the 5:2 and 16:8 so called “Wolverine” diet. Skipping meals seems more acceptable than before. Chilli spice is a helpful addition for metabolism. Vinegar dressing and pickled food such as gherkins and sauerkraut add diversity to the good bugs in your gut - the volunteer who relished these and a home-cooked vegetable-rich diet was shown by researchers to have the most diverse gut biome of any person they had scrutinised in the Western World! Often my clients come to get help to find the hidden qualities that are needed to transform their professional or personal lives. Tracy Edwards’s story is an inspirational one that epitomises this. It has been made into the documentary film, “Maiden”, and is released to coincide with International Women’s Day. Having lost her father at 10 and then bullied by an alcoholic step-father, Tracy, a rather lost angry soul, was expelled from school without qualifications. 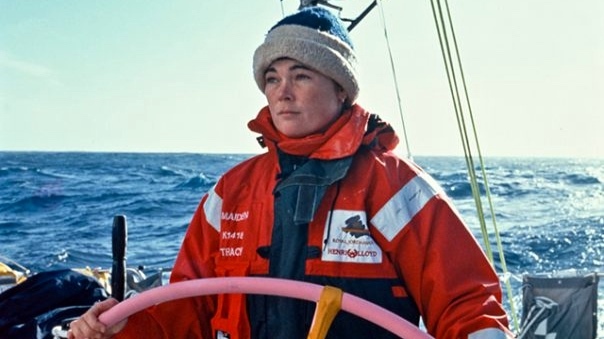 Nonetheless, she developed a vision of sailing around the world after cooking on a yacht aged 24. Serendipity played a part as, at a chance meeting, King Hussain of Jordan encouraged her to follow her dream. One potential sponsor after another turned her down for being a woman in a man’s sport. There was nothing else for her to do other than risk everything to buy a dilapidated boat - the next job was to repair it! Having made her own heavy commitment, the King gave assistance for the significant costs of the race. Against all odds and four years on, this opened-up the opportunity for the first all-woman crew to take part on the 9 month-long harsh circumnavigation. In 1989, Tracy and her team got to the starting line. In fact, Maiden won two of her class’s legs including the tricky one across the Antarctic’s Southern Oceans. Somewhat ironically Tracy received Britain’s Yachtsman of the Year Trophy for her endeavour! My recommendation is see the film for an inspiring view - there’s some infrequent swearing and sexism. (Times are beginning to change, thankfully.) “Maiden” is directed by Alex Holmes and uses original footage. If any of this strikes a chord with you and you would like support to launch your strengths, please get in touch by emailing: audrey@summitlifecoaching.co.uk Clinic appointments for coaching, NLP and hypnotherapy are available at Mulberry House in the West End of Edinburgh although coaching is available by video-link/phone if you live at a distance. Wise words from my name-sake…social connectedness is an ingredient for laughter, living long and well. St Valentine’s Day is upon us and lovers, husbands, wives, partners are prompted to make a show of their affection and love. To romance - and perhaps take a moment to remind themselves what they take for granted at other times of the year! Flowers, hearts, poems, candle light… I hear the sale of aphrodisiac foods such as oyster and asparagus soar this week! But what happens to those who are not in a special 1:1? Those who have lost a loved one? Maybe your “bestie” has gone abroad? Or you’re in pain after a break-up; just moved and are going through the struggle to connect and make new friends? Well, given the health benefits of being social, it makes sense to take time to reach out - arrange to catch up with a friend, invite a neighbour in for coffee, enrol for a new hobby, start a conversation with someone - who knows they might be alone too. And if you are lucky to have a special relationship, who else do you know that would appreciate a friendly call? Go on, share your love! It only takes a minute or two. Winter colds coming? Have you a job that involves talking? Learn about voice care here. As I go about my day-to-day my professionally-trained ear notices people’s voices. Not surprising as I was a speech and language therapist before and now as a hypnotherapist my voice is essential for my job. Happily, however, I use (and teach) self-hypnosis for relaxation as stress is often a component of voice issues. The vocal tract and voice need care in the same way our teeth do but, as it’s not something that’s taught, it’s much neglected! Hence with winter infections approaching I thought I’d share general voice care tips. Ensure you breathe well - an incorrect breathing pattern is common. Breathing is the basis of speaking: we add voice (a pitch from the vocal cords) and shape our exhaled breath into speech unconsciously. Look after yourself - eat healthily and exercise. Avoid lifting heavy weights/straining and grunting though! Adopt a good sleep routine - see my previous blog on sleep hygiene tips. Plan for relaxation - stress leads to vocal strain. Add self-hypnosis/yoga/meditation to your routine. Sip plenty of fluids throughout the day. 8 glasses of water is a common recommendation. In addition some sites suggest sugar free sweets and chewing gum. Gargle with tepid water especially if you use an asthma inhaler. Inhale the steam when showering or give yourself a facial steam. Talking - the vocal cords can vibrate millions of times each day - rest them in the same way you’d rest a strained wrist or ankle! 10 minutes silence here and there? If possible email/text instead. Irritants - eg smoking, chemical sprays, perfumes can be triggers/cause coughing. Talking loudly - a quiet voice (but not whispering) reduces damage to the vocal cords. See below about how to adapt yourself and the environment to reduce harm. Clearing the throat (ie h-hmm) traumatises the vocal cords - sip water instead or swallow hard. Be consistent in using strategies to control back-ground noise. For example silence the class using a non-voice method (eg hand raise/clap/whistle) before giving an instruction or turn down the music/TV before speaking. Avoid speaking on noisy public transport/streets. Be close to whomever you are speaking - avoid calling out eg to children upstairs or signal to the person/group to come closer before you give an instruction. Learn to project your voice with correct technique - you need a good lungful of air for starters. Buy a headset microphone to aid projection of your voice especially if you teach yoga/sports/dance in a large area. Use it consistently. Phone users - use a headset instead of hand held phone to help with posture and strain. Be aware that vocal tract problems (eg nodules/polyps) are more likely to be triggered when you have a throat infection, are tired or below par. Take particular care at these times. Give yourself some TLC and increase fluid intake - warm honey and lemon is soothing. If you suffer from gastric reflux, use an extra pillow, avoid spicy food and eating late at night. Gut acids can track up to the throat causing irritation - it’s commonly found in people presenting with a voice problem. See your pharmacist/GP to consider the cause. Steam inhalation and gargling - webmd.com recommends a ¼ teaspoon of salt in a mug of warm boiled water. Be aware that use of throat lozenges can ease symptoms but the numbing may cause you to be less careful. Also that many cold/other medications have a drying effect on the vocal cords so sip plenty of water throughout the day. Remember, the voice is an excellent indicator of our underlying health so it is important to get things checked out with your GP if the voice problem has lasted more than 2 weeks especially if you have not suffered a triggering infection. Do not overlook hoarseness/croaking, breathing difficulties, voice pitch drop, a breathy voice, a voice that tires easily (eg starts the sentence fine but sounds weak by the end) or cannot be made louder. I can help you with breathing tips or hypnotherapy for reducing stress, relaxation, sleep, improving your public speaking or other. Please do not hesitate to get in touch by email: audrey@summitlifecoaching.co.uk or phone 075 548 54321. I am motivated to help improve your health and well-being at an affordable price! Summit Life Coaching Ltd with NLP and Hypnotherapy. Working to the ethics and standards of the ICF and BSCH. Wellbeing - What it is, What it causes and What happens when we don't have it. Sir Harry Burns, Director of Global Public Health, University of Strathclyde, kicked off the Royal Philosophical Society of Glasgow’s lecture season with one on Wellbeing in Scotland. Here’s what I took from it - with some surprises! Wellbeing is a state of complete physical, mental and social wellbeing. We Scots get bad press … a picture of smokers tucking into food like the photo, drinking excessively and sedentary. Actually, the only one that’s true is we drink too much. The change in culture and licensing laws in the 1990’s has led to us having the highest average in Europe. Nonetheless, wealthier Scots have longer life expectancy counterposed with the poorest 20%’s lives shortening since the 1950’s. Overall we therefore have a declining life expectancy. The main drivers of this inequality are drugs, alcohol, suicide and violence - it’s the young who are dying early. The professor pointed out that many supporters for right-wing fringe parties and Trump supporters come from these deprived backgrounds. Happily, those born into deprivation are not bound to fail. An optimistic outlook - it really pays to have one! A sense of control/our internal locus of control - so professionals’ jobs are typically less stressful and believing you can influence outcomes is better. A sense of purpose and meaning - having a family to care for was a factor in Holocaust survival. Confidence to deal with problems. A supportive network - being connected to your friends and community is beneficial. Our social and physical environment must be comprehendible, manageable and meaningful or individuals experience chronic stress leading to inflammation/diseases. Sir Harry explained that it is adversity, the lack of wellbeing, that causes major problems. 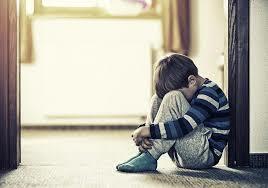 Chaotic parenting, perhaps from addicted parents, causes depression - the child has no sense of coherence or control. The emotional parts of the brain are affected - the thinking part less active but the emotional arousal higher - the child is therefore less able to learn and cope with their emotions. At the molecular level a comforting hug makes a difference - without which epigenetic change means the stress response can’t be switched off leading to poor health and outcomes. These children have poor life expectations, do badly at school, have increased chronic diseases, weight-problems, Type 2 diabetes, stroke and other. In short the Government would be better tackling the factors of despair and adversity in young children than cutting out sugar! Sir Harry closed by saying transforming people’s ability to cope is how to begin to get to grips with this complex problem. It is financially savvy and more effective than being fished out by NHS rescuers. “Helping you make positive change” using Life Coaching, NLP or Hypnotherapy is my mission. I can help you tackle confidence and optimism issues, help you exert more personal control, make career change, find new purpose or develop your social life. My email is audrey@summitlifecoaching.co.uk, my number 075 548 54321. I work from Mulberry House Complementary Health Clinic in the West End of Edinburgh and coaching is available by Skype/phone if more convenient. Mindfulness: a gentle way of improving our well-being. As the leaves begin to change their colours it's a wonderful time to get out and about, even if only for a "wee walk". It pays dividends for our emotional and physical well-being to do this, and all the more so if "mindfulness" is incorporated. I often encourage my coaching and hypnotherapy clients to practise it at opportune times such as when eating or getting a glass of water. If you are looking for greater calm, I teach hypnosis for relaxation (personalised for you and recorded) and introduce you to mindfulness too. Appointments are in the friendly setting of Mulberry House Mind and Body Centre, West End, Edinburgh. Please get in touch with me to book your appointment or to arrange a chat to find out more (free). My contact details are: audrey@summitlifecoaching.co.uk and 075 548 54321. Audrey - Summit Life Coaching Ltd with NLP and Hypnotherapy. www.WildGeeseZen.org offers gentle Zen Buddhist Mindfulness group practice in Edinburgh (City Centre and Leith) based on the teachings of Thich Nhat Hahn, Vietnamese monk from Plum Village, France. Stu Lee provides massage at Mulberry House clinic with particularly tense clients and includes meditation and breathing work. Ruth Johnson is an integrative cognitive behaviour therapist/mental health nurse also working at Mulberry House clinic. She has a certificate in mindfulness. Packing for a dream holiday - don't forget a good read! 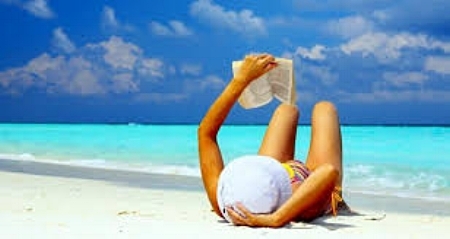 Your shorts and sunglasses are packed, you've checked your booking and your passport's in your bag...now all you need to choose is a little holiday reading! I've given some regular book recommendations in the last paragraph here, but you may also be looking for (or know someone looking) for a self-help reader. I read this type of book routinely so I can make recommendations which support positive change as part of my coaching and hypnotherapy approach. Below are three of my picks; whilst the subjects are far from light, the books themselves are straight-forward and well-written. The first is about actions to take to overcome depression; the second supports reducing alcohol consumption; and the third is about how looking at your past relatives' circumstances and your own may be the key to ending inherited negative family cycles of behaviour. This is written in a direct simple style by a world-renowned expert clinical psychotherapist and hypnotherapist. He cuts the subject down into 50 statements and encourages action. It is an inexpensive short read that's really worth it. Summit's treatment approach to improved well-being: One of Yapko's recommendations is to use hypnosis, so I'll teach you self-hypnosis, help keep you focused on improving your well-being, and ensure you know what this expert recommends. This is for people who are looking for a framework for reducing their alcohol intake. The author talks from personal experience, provides clear information and a considered approach. If you believe your life to be dictated by alchohol, however, this book is unlikely to go far enough although any reduction in your alcohol consumption will help your health. Summit's treatment approach to alcohol over-use: "hypnosis" plus non-judgmental "therapy" which will be based on your desire to moderate consumption or abstain. Dean recommends hypnosis as an aid but she is critical that her therapist did not include "a plan" - I do! If abstaining, I can align the approach with elements of the AA's step programme as per my International Coaching Federation's training. This quote sums up the basis of this fascinating work and may be of particular interest to those who have had treatment for a concern but feel they have not got to the bottom of it. Wolynn is an eminent American family psychologist who works with persistent symptoms and conditions. He gives compelling scientific background information explaining how it is possible to carry forward traumatic experiences from 3 generations. Language, epigenetic, memories and behaviours all play a part. These can result in negative family patterns being perpetuated, and consequently, why it may be relevant to consider if resolve can be gained by looking at past relatives' lives. The second half of this book provides a straight-forward prescriptive guide including questions to ask yourself. Although names have been changed he gives examples from case studies and the results seem to be life-changing healing. It is not essential, but it will help if you know or can find out about your parents' families and your early years. It is an approach that includes visualisation and explains the need to develop new neural pathways for changed behaviour and better health. And for that more regular holiday reading, I see that Phillip Pullman recommends Rupert Thomson's "Never Anyone But You", Sebastian Faulks "The Incurable Romantic" by Frank Tallis and Olivia Laing "The Stopping Places: A Journey Through Gypsy Britain" (A Radio 4 Book of the Week) by Damian Le Bas. My personal recommendation is a travel adventure book by Levison Wood, "Walking the Americas" (Mexico to Panama). Whilst at times the writing could have been a little better I ripped through it. Incidentally, if you have any book recommendations, please get in touch by email: audrey@summitlifecoaching.co.uk and I will post them on Summit's blog and Facebook page either anonymously or with your name as preferred. Enjoy the summer! MORE INFORMATION: Books will be available through your local bookstore - here are links or reviews of all the above books in order of mention. Anxious about your exam or other? It is fair to say that clients often approach me in a bit of a panic last-minute before their exams, job interview or test but, whilst much can be done in a two-hour appointment, consideration to adding Hypnotherapy and NLP techniques earlier would give clients a greater feeling of control and range of treatment options. 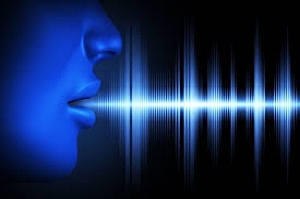 Having a personalised hypnosis recording to listen to in the run up to "the event" develops a positive calm mind-set, techniques deal with that irritating negative inner voice and "anchoring" connects you to the "confident and competent you". More time better cements confidence, introduces self-hypnosis and, when wanted, clients can adapt their oral presentation content and style in light of the speech and language tips they have learned. As the exam season is soon upon us I thought of mentioning how I can help and some other pointers. I recall my own university exams and the palpable tension at home when my children were swotting for their all-too-important school ones and sport competitions. Fortunately these and driving tests are in the bag, but the need to perform well carries on through much of our lives. The first thing might be to recognise that tension before exams/performance has a positive intention. It wakes us up to the fact that we need to prepare ourselves properly. Indeed a useful maxim is: "Proper prior planning prevents poor performance!" So ask yourself, "Have I prepared properly?" The degree of effort and preparation will depend on many things but my psychology lecturer once said something that rang true for me. It was: "If you're not brilliant, be bright enough to know you have to work." That might entail reading sufficiently around your subject; applying yourself more than a friend; taking sufficient lessons so that you feel ready for the level in question; completing practice papers to get the technique and timing down to a fine art; learning the Highway Code, poem or script thoroughly; rehearsing with your group adequately; putting together visuals and thinking-through and revising your accompanying talk. But don't forget the obvious such as putting in your application on time, paying any fees and finding out the routine for the day! Another question to ask is, "Have I got all the equipment I need?" For instance, a spare pen; new batteries in the calculator; an electrical point for the power-point presentation and possibly internet connection or refreshments for those attending; gear which meets the current safety standards for your sport's competition or exam; a spare guitar string or drumsticks; your earphones and preferred distraction music. I would also include checking out how you will get to the event and ensuring your choice of clothes is clean - even if it is an old lucky t-shirt! You want to arrive looking and feeling the part. The second positive thing to recognise about performance anxiety is that a degree of tension is needed for peak performance - we don't see top athletes sitting down before they start, do we? We see them signalling to their body to get ready, consciously getting themselves "into the zone" - a frame of mind where there is a combination of confidence and alertness which allows the mind and body to sync and flow. Some describe it as a feeling of having a sixth sense. Would a walk around the block or run up the stairs set you up better than a coffee? A good way to check that you are properly prepared is to visualise or imagine your event - that is taking the time to "run the movie of your success" in detail from start to finish in your mind several times beforehand. This rehearsed routine will bring a sense of familiarity and anchor you to a positive frame of mind when you actually do it. I suggest that if at any time your mind blocks / the movie stops, consider this an intuitive indicator that something in your preparation needs attention. As an example, for a university exam you'd visualise packing your bag the night before adding the items you need. You'd continue to visualise and self-talk yourself through sleeping well, getting ready then picking up your bag and making your way to the exam in good time, all the while paying particular attention to how relaxed and positive you feel... You'd continue connecting to a calm but alert feeling while you visualise taking your place in the exam hall, enjoying a long out-breath and shoulder shrug when the invigilator instructs you to begin. You'd imagine yourself reading the questions with care to select the best ones then see / sense yourself working with skill and reasonable speed to complete them, keeping a cautionary eye on the time. And lastly, you'd finish by visualising a positive outcome, sensing your satisfaction and a winning smile - you may even smell your success! After all you have prepared well, so it stands to reason! This mental rehearsal takes the "Can I?" to "I Can". That's hugely significant for achieving success. “I sought Audrey’s help ahead of a major promotion process for a senior role - having previously found NLP useful in interview and assessment situations. She worked with me over a couple of 2-hour sessions to help quiet my inner negative dialogue and build my confidence with positive reinforcement. We used a combination of NLP, hypnotherapy with coaching to get me into the right frame of mind and I’m delighted to say that I was successful. Did you know that Marilyn Monroe and Bruce Willis stammered? At a recent Hypnotherapy supervision meeting the topic of stammering treatment came up. I joined the discussion as a result of my previous work as a Speech and Language Therapist (SLT) but I was cautious, deciding it would be worth my while refreshing my knowledge on the subject. Having done that I thought it might be useful to share this discursive essay although it must be said that my intention was a general update for myself rather than a thorough investigation. if you know someone who stammers I recommend The British Stammering Association's website (BSA). At the Oxford Disfluency Conference (2008), Anne Smith produced this helpful statement: "Stuttering is a neuro-developmental disorder involving many different brain systems active for speech - including language, motor, and emotional networks. Each infant is born with a genetic makeup that contributes to his or her probability of stuttering, however whether stuttering will develop depends upon experience. To learn to speak fluently, a child's brain must develop many different neural circuits, and these circuits must interact in very precise and rapid ways. Stuttering emerges in childhood as a symptom that the brain's neural circuits for speech are being wired differently. For this reason, early intervention is critical, because by shaping the child's experience, we can affect the ongoing wiring process in the child's rapidly developing brain. The longer the stuttering symptoms persist in early childhood, the more difficult it is for us to change the brain's wiring, and stuttering becomes a chronic, usually lifelong issue." Stammering affects people in all countries and cultures, rich and poor, and those of all levels of intellectual ability. Most stammering begins in childhood and some spontaneously recover without any specialist intervention but about 1% of adults continue to do so. Incidentally, it is normal to have a degree of non-fluency when we speak - what that means is it is usual to have an occasional "um" and "er", small hesitations, minor revisions and corrections of what we've said. As is true for many speech and language problems, males are more often affected than females. Yairi (2005) cites Craig et al (2002) saying that in older children and adults the ratio is about 4:1 but less difference is evident in young children at 2 : 1 (Yairi & Ambrose 2005). Those who have stammered significantly for over three years are unlikely to become fluent (BSA). In my view later treatment may still help and is likely to focus on helping emotions, reducing fear and avoidance. Whilst not applying to the majority of children who stammer for a short time only, a genetic component has long been argued as it is evident in different family generations. Genetics research in 2010 found mutations in three related genes and gave additional insight as to the potential cause. They described it as an inherited disorder of metabolism and considered enzyme replacement therapy as a future possible treatment for those with a lifelong stammer. Reassuringly those with the mutated genes were not at risk of other more complex related disorders (Kang et al 2010 cited by Drayna 2010). I suspect that the group of adults who make their way to private hypnotherapy and less conventional therapy treatments beyond typical SLT (eg the McGuire programme breathing/belt technique) will include this group. What does neuro-imaging tell us? We can now study the "live" brain with the use of neuro-imaging. Indeed, neuro-imaging research has provided information about the neuro-physiological bases of this complex speech disorder. Subtle brain differences exist (eg reduced grey matter volume and white matter connectivity in these regions) however how to translate this understanding into beneficial everyday therapy is probably some years away (Chang 2014). Etchell et al (2017) reviewed neuro-imaging research between 1995 - 2016 and concluded that adults and children who stammer have widespread abnormalities in the structure and functional organisation of their brains which result in differences in speech tasks and non-speech tasks. This imaging does not give the "cause' of stammering but it does establish it has a neuro-developmental condition. The insights may lead to finding future treatments for modulating neuroplastic growth conducive to treating young children who stammer (Chang 2014). As we know, neuroplasticity reduces significantly (but does not stop) after childhood; therefore, early quality SLT intervention is key for children. I believe a collaborative approach between SLT and hypnotherapy could be worthwhile. SLT research which included hypnosis and breathing was done by Eular et al (2014) on 98 patients. They concluded that "fluency shaping" and "modification" (standard SLT treatments) provided in an intensive time schedule were the most effective treatments and typically no further treatment was needed. Intensive group SLT was found to be recommended also. Extensive other S&L treatments including hypnosis and breathing exercises were found to be ineffective. Effectiveness was rated using a structured questionnaire by the participants and treatment was 1 - 7 sessions. However, Kaya and Alladin (2011) found that hypnotically assisted diaphragmatic exercises were statistically significant for the management of stammering in a study of 74 people although they said further controlled trials were needed. Hypnotherapy was used to reduce anxiety, to lift self-confidence and increase motivation for the significant abdominal weight-lifting exercises lasting 2-hours a day for 8 consecutive days. (Note: whilst, as far as I know, no SLT was included in this study but, in my view, it is common for SLTs to target reducing anxiety and building confidence as part of their therapy. And likewise, if a patient's breathing pattern was considered problematic therapy would be given as speech is essentially a bi-product of breathing. (The air leaving our lungs gains sounds when it passes through the vocal folds in our larynx then the sounds are shaped into words by the mouth's movements. Hence shallow or irregular breathing does not support speech well.) Given that breathing therapy was not considered useful in the Euler et al (2014) research, perhaps hypnosis targeting anxiety and self-confidence was a crucial part of the significant result? It would be useful to look more closely at the study's methodology. I noted that Craig and Tran (2006) stated that emerging (psychiatric) evidence suggests people who stammer are more chronically and socially anxious to those who do not but it is considered the result of having a stammer rather than cause. In a smaller study of 30 patients Lockhart and Robertson (1977) used a combination of hypnotherapy and speech therapy. They divided the group up into those patients whose stammer presented as 'mild' deciding that the etiological basis might have been an extension of normal non-fluency, and a second group whose symptoms were more stigmatising and severe. These respected SLT researchers of their time chose to use only hypnotherapy for the mild cases but a combination of SLT consolidated by hypnosis at all stages of the intervention to promote fluency in all situation in the second group. They concluded that an approach using both disciplines provided a unified and effective approach to treatment. And it was no surprise to read that McCord (1955) reported that the material on stammering found in hypnosis literature had a more favourable tone about hypnosis/hypnotherapy outcomes than in SLT and Psychology literature! McCord also gave an anecdotal illustration of successful hypnotherapy but this was over a period of more than 30 appointments so one could argue uncontrolled factors could have brought about the recovery. Times have changed in our standards of research but it is still tricky to get comparable treatment groups and control groups together with the same treatment methodology being applied. 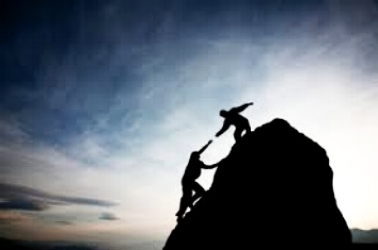 We know that individualising treatment is essential which does not fit with Random Control Trials and we also know that the therapeutic relationship (rapport) and patient's belief are influential but not usually measured. I also wonder if more collaborative approaches are in practise today but, sadly, I can't say I found much evidence of that in my small search. Hence my conjecture is that hypnotherapy is an appropriate approach, particularly to target the emotional responses and research indicates that visualising a changed future will alter/strengthen neural connectivity. Information from Stanford University (2016) of up-to-date information gained via brain scans during hypnosis, the brain's activity and connectivity is of interest. What effect hypnosis has on the brain when treating stammering is not mentioned in this article but it does mention treating anxiety and an effect of hypnosis being a dissociation between action and reflection which lets the patient engage in activities whether suggested by the therapist or self-suggested without being self-conscious about the activity. The Stanford medical scientists are curious about how to stimulate the brain to make a wider number of people more hypnotisable because its potential to help is recognised. In treating stammering I know that both hypnotherapists and SLTs aim to encourage a confident assertive attitude, develop a positive sense of identity and that they incorporate techniques to desensitise the person to the specific environmental situations that trigger their stammer responses regardless of the aetiology. I hope this has been interesting and please get in touch if you have experience or case studies to discuss. The long list of references is available on request. Could you do with a hand to prevent "Dry January" becoming "Wet February"? If you managed "Dry January" successfully, well done! Despite our best intentions, however, sometimes our motivation to reduce or do without our "wee wine", G&Ts, beers - or whatever our tipple - drains as we move away from the year's beginning. We find our old habit can steadily trickle back, perhaps even with a vengeance. It might start at a jolly social occasion but often it is the routine habit that trips us up, the one that simply serves to transition us from "work mode" and the demands of the day to a more "relaxed home mode". We may consider it a "grown-up" reward for having assiduously applied ourselves and juggled everything. For some others, being addled is a distraction from the evening's unappealing TV. Over time there can be a creep - one small drink becomes two, which becomes two large ones; or it may be the measure is now in half or whole bottles. Perhaps that's accompanied with unsettled sleep with an odd headache or hang-over. You tell yourself that it is beneficial for alleviating stress but know deep down that it's unhealthy. So your attitude has a mix of resistance, pleasure and when you're being honest, a bit of uncertainty or fear. Does this sound in any way familiar? Regrettably I have seen several lives ruined by alcohol misuse so I know the folly of ignoring increasing consumption. It is not just the physical and mental effects like deteriorating performance, premature ageing, memory loss, anxiety and depression, but also the knock on effect on relationships with family, friends and employers, not to mention finances. It might be that your friends and colleagues drink more than you but that inner voice is whispering, "It's time to cut-back...time to follow best advice". But that can be easier said than done for a multitude of reasons including your inner voice contradicting itself, "Oh, one more won't hurt"... "I'm more fun when I've had one"..."I haven't had that much really". What is a safe limit? The current Government guidelines for men and women is 14 units per week with some alcohol free days. That's 6 "small" glasses of wine (13%; 175ml), 6 pints of lager (4%), 5 of a slightly stronger cider or 14 single pub measures of spirit. 14 might sound like a lot, but most of us will pour ourselves a generous double. Suddenly, it's not so much, is it? And no alcohol if you are conceiving/expecting a baby. (More information and tips are available from Drinkaware - please see below). Anyway, like the guy in the photo, if you feel you'd benefit from a hand to get things better under control, the first step is to get in touch by emailing audrey@summitlifecoaching.co.uk or phoning me on 075 548 54321 and my training and success in supporting clients facing these challenges will serve to help you. It may even be you want to knock it on the head completely. If you've been thinking this way, why kick the can down the road? Thank you for your note. I am still alcohol free - all going well! This blog is an update of the one posted in January 2017. Although I'm lucky to now be at my mid-range BMI (that's a measure of health), as I come from a line of short overweight-women that hasn't always been the case. In fact, at 17, I joined my Mum and Gran at Weight-Watchers on a weekly basis. I try to keep abreast of this emotive and confusing subject for my own and professional interest but it's hard to pick out good, research-based information. Of course, I am by no means a nutritionist or dietician, but it is nice to be able to help point people in an informed direction. However, as a coach and a hypnotherapist, where my skills lie is to support, motivate and help with habit change. Through a variety of techniques and NLP activities, you open up a new way of being; building a new neural pathway that helps move you from the "I want" to the "I am" as you move along your journey to success. We look beyond the obvious such as emotional eating and why you may be self-sabotaging. 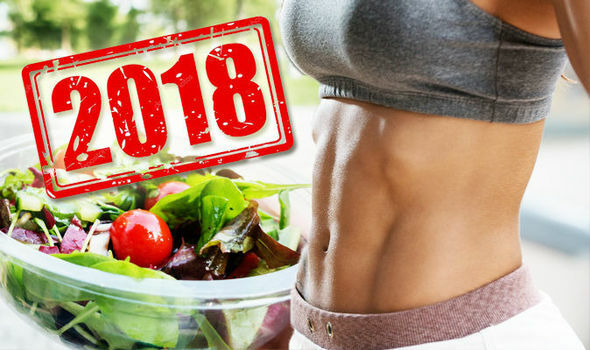 Whether you just like to do your best to eat healthily or if weight-management is your target, I thought you might like help sifting through all that is being thrown at you about "dieting" as the year starts. You might like to know about a book called "The Diet Myth - The Real Science Behind What We Eat" by Professor Tim Spector (2015). More recent articles and TV programmes are bringing the same information to our attention, making the ideas more mainstream. The book draws on science and tells us why the balance in our microbiome (our gut microbes) and its interaction with our body plays a crucial part in our weight. Spector rejects diet fads embracing food diversity for a healthy gut and healthy body. He favours a Mediterranean diet which he lists as predominantly fish/vegetables/beans/lentils and fruit and enthuses about extra virgin olive oil, blue cheese and natural yoghurt. He believes it is about working out what works for your body. As usual he advocates regular exercise which will lift your spirits, stress-bust and burn calories. Of course, some people find it easy to maintain a healthy weight without knowing how important their gut microbes are. Perhaps though it can be a key contribution to YOUR success? Like Spector's book, Channel 4's "Food Unwrapped" Diet Special January 2018 also emphasised the importance of having diverse gut bacteria. Their reporter visited the Hanzi People in Tanzania because they are healthy and have no malnutrition. They have 40% more bacteria in their guts than most of us in UK and a greater diversity, living on a diet containing honey comb (with bee grubs 'n all), a very fibrous root vegetable and a fruit which is extremely rich in Vitamin C. The programme went on to say that we can simulate this by including Jerusalem artichokes and chicory (red and green, preferably raw with a regular intake a few times a week) along with raw garlic, onions, seaweed, wheat, oats, and fish (mentioning mackerel). 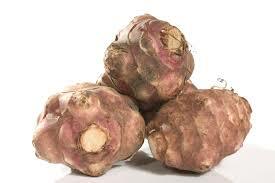 Essentially these are rich in prebiotics which promote the good bacteria that are already in our guts. Another pointer was the use of the spice cumin. They said more clinical research is required but it is seems to help burn fat. And for curry fans like me, a Chicken Korma made with a low-calorie recipe got the thumbs up as it contained a range of other particularly valuable spices in weight-management such as turmeric (which stops fat re-growth after weight-loss), ginger (which helps you feel satisfied after eating), cinnamon (which helps control blood sugar), and chilli (which increases metabolism). Notice that the trend of juicing fruit/veg raises an alarm for Spector, as it removes the fibre which carries fat from the body. Processed foods are a no-no because the body does not handle the added chemicals well. That strikes a huge amount of food off the list, such as, preserved meats (e.g. sausages, ham, salami). Foods with a long shelf life (e.g. cakes, biscuits, butter-like spreads) are off the menu too as they contain worrying hydrogenated fats. Fructose (the sugar present in fruit) is to be watched - indeed I noticed my large glass of supermarket-bought orange juice this morning contained 26% of my daily recommended sugar intake! Counter-intuitively, low-calorie diet foods and fizzy drinks laden with artificial sweetener are a non-starter as your brain has not evolved to know how to digest these. Spector recommends sticking to white meat, such as chicken, for the most-part, although it seems an occasional steak and glass of red wine are allowed. He considers dietary supplements potentially very harmful. The good news is he is less concerned by calorie counting, the bad news is he'd like a sample of your stool! The book is an accessible read and highly recommended, particularly if you've tried "the usual" and are a bit stuck. 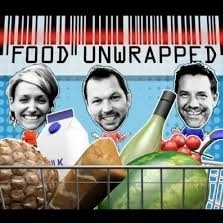 Channel 4's programme "Food Unwrapped - The Diet Special", aired in January 2017, also provided information along the same lines as Spector's book. It challenged the Government's Eat-Well guidelines to cut-out fat and, rather, made a plea to cut-out foods containing sugar. In order to do that we need to be aware that "carbohydrates" can mean starch or/and sugar and it is only by looking at the packaging's small print that you can discern which are present and the percentages. Most people do however know that starch and sugar are extremely different nutritionally. The programme warned to be wary of those so-called "healthy" breakfast cereals. Both Spector and the programme mention that there's evidence to support intermittent fasting as it has been shown to improve metabolism, so if you like skipping breakfast then here's your invitation to do so. They looked at the so-called "Wolverine's" 16:8 Diet, when all eating is done within an 8 hours period each day (apparently Hugh Jackman used it before playing the part). Spector also gives the supporting evidence for the 5:2 diet which allows normal healthy eating for 5 days a week then restricts calories for the 2 remaining days: men to 600 calories and 500 for women. Incidentally, I have seen clients include these diets successfully as part of their coaching or hypnotherapy journey to a lighter, brighter way of being. Another fact more commonly heard now is how a poor sleep routine is linked to poor health and being over-weight. Apparently sleepy people are more stimulated by food! Nick Littlehales' book, "Sleep - The Myth of 8 Hours, the Power of Naps...and the New Plan to Recharge Your body and Mind", explores sleep management in huge detail. That's hardly surprising as he is a sleep coach to Olympic athletes, some Premier League and Sky cycle teams. What you need to know, most of all, is just how important darkness is for sleep and how important sleep is for good health! Research shows to avoid obesity your sleep should average 7 hours. Incidentally those sleeping less than an average of 5 hours are at greater risk of diabetes (type II). Note, however, that 8 hours a night is an average and not for everyone. You might be like Usain Bolt who likes a good 10 hours, or more like Margaret Thatcher who existed on about 5 hours per night along with day-time naps. In Littlehales' programme, your sleep time can vary from night-to-night to accommodate your life-style as sleep is measured over the week and includes naps. Our natural body clock 90 minute cycles are known as "circadian rhythms" and are a crucial part of his programme. They continue night and day with your body dipping between 1 - 3pm and 5 - 7pm - ideal times for a wee nap just like the continental siesta. Sadly inexpensive calorie-rich food is on offer almost everywhere and the NHS recommended exercise levels are higher than even an energetic enthusiast might guess. It takes a while to become conversant with what nutrition and calories are in a portion of food but good Apps help such as "MyFitnessPal" help. But if you've gone down that route and you're battling the bulge unsuccessfully perhaps this has given you more to think about to increase your chance of success? Good luck and I hope this has been of use to you. Remember if you've other health issues and you are not used to doing exercise, do get advice from your GP before embarking on your healthy life-style change. If your BMI healthy weight-range seems a long way off, keep looking forward step-by-step: that's the weigh to go! And as ever, if you'd like some coaching or hypnotherapy for weight-or sleep management (or anything else) please get in touch by emailing audrey@summitlifecoaching.co.uk or by phoning 075 548 54321. Coaching is available by Skype so your location makes no difference. My Hypnotherapy and NLP sessions are available at Mulberry House, the delightful complementary health clinic in the West End of Edinburgh by booking directly with me. Please scroll through my website's testimonials on the About page to read about how I have helped others successfully. Click here to see the NHS Choices page on a Mediterranean Diet. NHS Choices Exercise Level Guidelines. Summit Life Coaching Limited, Hypnotherapy and NLP - January 2017, amended January 2018. Not for reproduction without permission please. The Nobel Prize and what you should know. You may have heard about this on the news this week and today I caught sight of an article by The Guardian's science correspondent, Hannah Devlin. It is worth sharing as a reminder of a key way to optimise health. You may have read my previous blog about "Sleep" and it is in this regard that most of us know about the term "circadian rhythms" and their part in good health. But as Devlin's article and the blog mention, being in tune with our circadian rhythms affects so much more than sleep. The article, "'Western society is chronically sleep deprived': the importance of the body's clock", tells us about Hall, Rosebush and Young's accomplishments in their discoveries of the molecular mechanisms controlling these rhythms. The prize winners recently found the main gene that controls this clock and how it is connected to our planet's revolutions. Indeed, most of our cells have a clock of their own and about 50% of these are switched on and off by our bodies' "period" gene. At night time this gene encodes a protein in the cell then it degrades during the day - giving us a continual pattern. It is easy to see then that staying aligned to nature's clock enhances our well-being and performance and why it plays a part in risk for strokes, heart disease, dementia, obesity, diabetes and even some cancers. In our 24/7 society it is worth making an effort to sync with light and dark because a tiny part of our brain, the suprachiasmatic nucleus, is linked to the eye's retina and connects to the pineal gland on the opposite side. This gland pumps out melatonin - a crucial hormone for sleep. 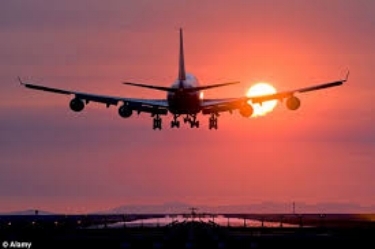 In shift work and jet lag our bodies have to over-ride its biology. In connection to the common problem of over-eating and diabetes, research shows that animals in tune with their circadian rhythm (even if sleep deprived) maintain a steady weight but animals forced onto a schedule that is out of sync, eat impulsively and develop glucose intolerance. It shows also why following instructions to take medicine at particular times is important - for example, strokes are most common in the morning so swallowing blood pressure tablets first thing is best. On the other hand, the liver produces cholesterol more quickly at night so swallow satins before bed. Like using self-hypnosis and mindfulness for health benefits the evidence for aligning ourselves to our circadian rhythms is clear. Can any of us ignore the recommendation to get an old-fashioned good night's sleep? Perhaps you recognise this but struggle to achieve it? If so, help to sweet dreams, weight loss or other is just a call or email away! My Summit contact details to arrange a free consultation are audrey@summitlifecoaching.co.uk and 075 548 54321. Hypnotherapy and NLP techniques for insomnia and sleep disorder are a good option because sleep is not controlled consciously...ask an insomnia sufferer or those of us who have tried telling a restless child to go to sleep! On the other-hand, if it is your life-style that needs attention then life-coaching is useful. Among other successes I have helped clients combat insomnia, pain disrupting sleep, sleep disorder and weight problems. Scroll down from here if you would like to read my "Sleep" blog, posted May 2017. Go further back to January to read about weight management. There are links to other reading with the blogs. The one to Devlin's article is below. When I help clients make positive change, certain recurring features become evident. In the first place, the person approaches me because they have a desire to do something different or fulfil an ambition. It might be to change a habit for better health, to start up their own business or fulfil a sports objective. The clients are unique mostly with differing aims but they all share a wish to do something and they are keen to make a success of it. As the process continues, I guide, support and motivate through coaching or use hypnosis to engage their own unconscious mind's support to help them reach their desired outcome. In doing this, I garner the client's own strengths to achieve. This ultimately involves them applying their own backbone as I can assist (hopefully significantly) but it is they who take the steps that get them to the finishing line! And along the journey of success, it is true to say that some clients experience a frustration or two. This is when I encourage them to take the rough with the smooth, to persevere, to show resilience so as not to get down about things so they stay on course. Additionally, I encourage them to connect with their sense of humour as a way of handling stress. Sadly, with the stresses and strains of everyday life we are prone to forget about our playful, humorous side but smiling and laughing generate helpful neurotransmitters and release tension. It is amazing what seeing the funny side of things can do to shift our perspective, to re-set us into a more positive “can-do” mind-set which serves to motivate us to find a solution. Indeed, if you saw the film, "Eddie the Eagle” (2016) and his journey to the 1988 Olympics as the lone British ski-jumper, you would have identified with just how much a “can-do” attitude plays a part in success - and you would, no doubt, have had a good laugh too! So all in all, I think Reba McEntire’s quote goes a long way to succinctly sum it up… “To succeed in life, you need three things: a wishbone, a backbone and a funny bone!" If you have a wish for change and would like a helping hand, please get in touch by phone 075 548 54321 or email audrey@summitlifecoaching.co.uk. You can scroll down to a link below or find one at the bottom of the Home page. Incidentally you can also see some clients’ Testimonials on the About page. Hold out your hand in front of you. Now with the index finger of your other hand, slowly trace its shape by running the finger up and down the sides of the other five fingers. As your finger runs up the fingers, breathe in; as your finger runs down, breathe out. Inhale Contentment - And Smile"
Remember to check your breathing technique! Your lungs are like bags that go from the diaphragm up to the collar bones. When you inhale your tummy should fill up and move out, then move back towards your spine as you exhale. Sometimes tension causes us to get this the wrong way around: the air coming in expands the upper part of the chest, the shoulders rise and the tummy comes in. If this is happening, give your body a shake, place one hand on your tummy and the other on a collar bone to act as monitors, and try again! A mirror can be useful too. Is fear of public speaking holding you back? Why it's important and what you can do. As a school-girl, answering questions and reading aloud - like many people - caused me angst, and stage-performance was avoided at all cost. Hence I can fully empathise with those who find it problematic. Thankfully these days are long gone but my later-gained NEURO-LINGUISTIC PROGRAMMING (NLP) and SPEECH AND LANGUAGE THERAPY skills would have brought more rapid success than my clumsy self-help methods! So when BBC.com's 'If You Only Read 6 Things This Week...' picked out the article "Is public speaking fear limiting your career?" it caught my attention. It explains that these inhibitions are extremely common and restrict career progress, and it gives tried and tested ways of over-coming the hurdles. Whilst the article is limited in the NLP techniques it mentions it includes the standard ones of breaking limiting beliefs, reframing thoughts and rehearsing using enhanced visualisation. The latter is used to develop new neural pathways so we can replace fear with new ways of doing and having confidence in these situations. Of course being sufficiently prepared is a must-do... having noted the key points and learned the few sentences that trigger what you want to say for each is usually enough. That said, taking time to find out what works for you and rehearsing in front of others will better ensure a pleasing outcome. And, naturally, frequency of speaking publicly (and reflecting upon it) will sharpen skills. We probably know instinctively that communication is important but the article states that top recruiters look for "oral communication and presentation skills" as two of their top four requirements. "Exposure" - such as making a presentation in person or video-link, taking a lead role, being on a committee and so on - is also mentioned as being particularly influential in career success. Clearly then if you have a hang-up about speaking publicly you would do well to address it sooner rather than later to succeed in the competitive employment environment. After-all, your first step into an organisation is typically through evidencing your suitability by demonstrating skills on a CV or application then an interview which increasingly includes a presentation of some sort. Once "in" you have to continue to shine to progress. And self-employed people know that their personal communication and social/media presentations are essential in driving business. It is worth elucidating on the article's point that "good communication" means getting your message over to the audience/listener. A bit of personality and being succinct will take you far. Take the singer Adele as an example... I doubt she would land a job as a newscaster, but she relates to her audience with presence, warmth, gestures and ease. Again, these are skills that can be learned. You will have seen that there is a way forward for those who find public speaking a daunting task. I would be delighted to provide coaching with NLP by Skype/Facetime or in-person for this. Hypnotherapy has additional techniques but is available only in the clinic for ethical reasons. To start the process of changing your thoughts, feelings and performance, please get in contact with me by email or phone! Here's a link to the BBC.com's article by Tim Smedley: "Is public speaking fear limiting your career?"